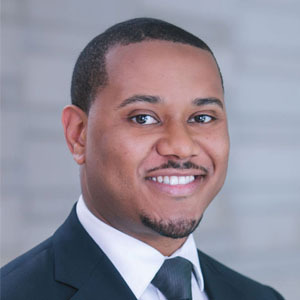 Raymael Blackwell is the Program Associate of Community First Foundation headquartered in Arvada, Colorado. Follow them on Facebook, Twitter, LinkedIn, and YouTube and learn more at communityfirstfoundation.org. I am part of a small but mighty team who help fuel community solutions that reduce mental health stigma in the Denver metropolitan area. More specifically, we provide financial support to nonprofit organizations working within our strategy area of Promoting Mental Wellness, among others. All people should have the opportunity to live a holistically healthy life they feel is satisfying. Unfortunately, many people experience barriers that prevent them from doing so. Working for a community foundation provides me the opportunity to help remove some of those barriers and celebrate the strengths of our communities. This is an interesting question because the impact I make depends on others who are doing the work to ensure our communities are thriving. I do my best to listen to these people and tap into creative and meaningful ways to support them. Community First Foundation’s Innovators Society is a great example of that support. Our Innovators are improving our communities in a myriad of ways. Their approaches range from bringing Tai Chi to youth to support well-being and executive function, to facilitating conversations with faith-based communities to change the perception of mental health, mental illness, and treatment. We are so proud of the work they do. Before joining the Foundation, I facilitated mentoring programs for youth. It’s heartwarming to watch the lightbulb turn on in someone’s face when they grasp a new concept, but it’s AMAZING to watch them implement those concepts and create positive tangible change in their life. I love being a part of that process but realized there are only so many people I can personally engage with on my own. I wanted to multiply my impact by helping support those who strive to protect, heal, and encourage others to live their best life. I would love for our foundation to be nationally recognized as an anchor institution that actively seeks community input, and is nimble and courageous enough to promptly address community needs in an effective manner. An insatiable curiosity, humility, a pursuit of excellence, and a spirit of collaboration. We also need organizations and people who believe we can solve our issues together and don’t mind getting dirt underneath their fingernails or rolling up their sleeves to do the work. It’s sometimes difficult to be patient when my ambition is inspired. There are moments when I want to make far-reaching progressive change, and then realize some things take time and diligence. Do whatever it takes to stay connected to your reason for doing what you do. It’s easy to get pulled in different directions and enticed by societal measures of success, but I believe there is an inner something that pushes many of us forward. Don’t let that voice grow faint. Check in with it as frequently as necessary to ensure it remains crisp and clear. Surround yourself with people who challenge you and your thoughts, as well as cheerleaders and up-lifters. It’s beneficial to have people in our lives who help replenish what we give out to others. Cultivate an entrepreneurial mindset for nonprofit work. Have the courage to take on the worlds wicked problems and remember you don’t have to do it alone.